Are you looking for angel riddles and answers? Well, youve certainly come to the perfect place! 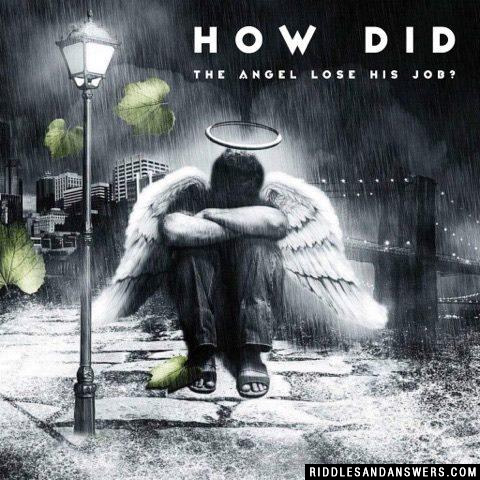 Here our staff has compiled quite the collection of angel riddles to create one of the most impressive angel riddle collections online. Whether you are looking for angel riddles for a Christmas or holiday themed party or even for some Christian related activities, our site has a great assortment of angel riddles to choose from. Our collection ranges from easier angel riddles for kids to logic riddles about angels that may prove to be a bit more of a challenge. Have some with our riddles by using our 30 second timer as well! 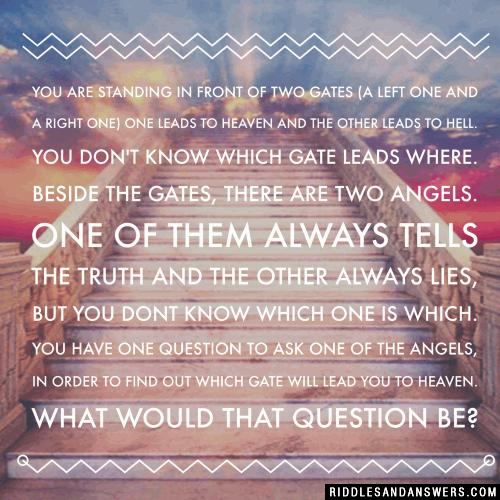 If you have some good angel riddles of your own youd like to share, scroll down to input them below! I may be found on the Christmas tree top. When looking at my wings and halo, you can't stop. What am I? What would you call an angel that enjoys doing geometry? What kind of pasta do angels eat with their meatballs? 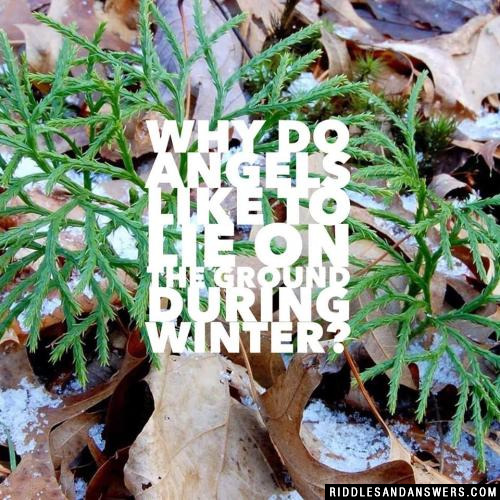 Why do angels like to lie on the ground during winter? What do you call angels that ride in a motorcycle group? What do you call an angel that is more than 90 degrees and less than 180 degrees? What's an angel's favorite movie? What's an angel's favorite TV show? 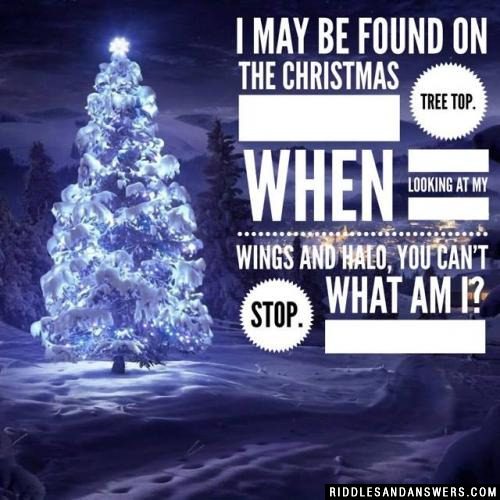 Can you come up with a cool, funny or clever Angel Riddles of your own? Post it below (without the answer) to see if you can stump our users.